Welcome, this is Terry Ewell. Study number 38 is one that tests endurance and your ability to take quick breaths. Notice that I place the breaths after the first eighth notes in the measures. Students are often tempted to breathe on the bar line, but this is often not a good choice. I have provided some dynamics since the contrast makes the study more interesting. I remind you to make use of the flick or vent keys. When two quick notes in a row need flicking, I hold down a single key. 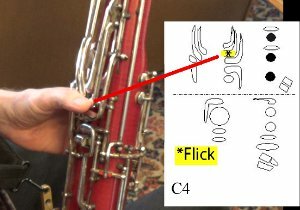 For instance, in measure 1 I hold down the C flick key for B3 and A3. If you have not seen the earlier videos on flicking, please review studies 3 and 4. Also work on clean articulations for G#4, G#3 and F#3. You must use half holes on these notes. Here are the opening first four measures played slowly so that you can observe my half hole and flicking techniques. Is there a “correct or perfect way” to perform or express music? On the whole I would have to answer this question “no.” Music is ambiguous and has multiple expressions and meanings so there is often more than one way to perform musically. However, there are certainly better ways to perform and worse ways to perform. If one wishes to perform well, it must be with musical understanding and musical expression. Let’s briefly examine some simple musical gestures and goals in phrases. The climaxes or goals in typical musical phrases are more like Christmas in December than Independence Day in July. 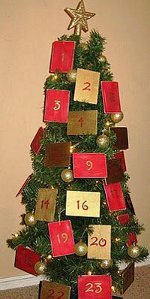 Did you ever have an advent calendar? Our family had one and I remember the many days it took until Christmas was finally reached. 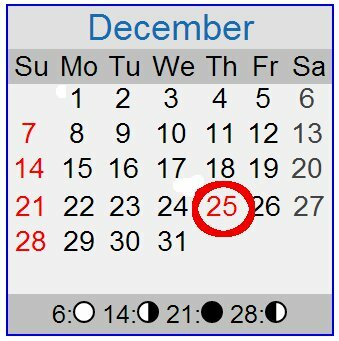 Each day opening a new window meant we were closer to the event, but Christmas was always a long anticipated goal. Independence Day would make for a horrible advent calendar. 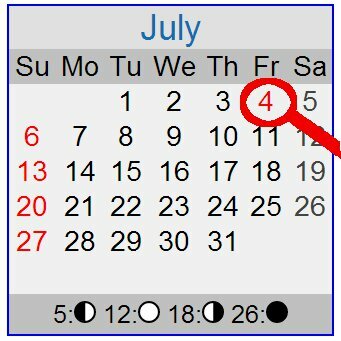 After three days of the calendar, the holiday in the USA, July 4th, would have arrived. There is not much anticipation of the holiday in that month. I repeat again, typical musical phrases are like Christmas in December. The climaxes or awaited goals come after much preparation. Let’s examine some typical phrases in the Weissenborn studies. Standard musical phrases in Common Practice music—especially those from the Classical Period—have four measures. You can observe here that Weissenborn study #38 has four measure phrases in the opening. The goals in these four measure phrases occur in the fourth measure of the phrases. Study #34 also starts with four measure phrases and the goals are best placed on the downbeats of the fourth measures. Moving shorter notes towards longer notes is a good musical practice. Placing the goal on the downbeat of the third measure is also possible, but I think this study exhibits an eagerness to get to the last notes , the longer notes without delay. Study #35 has four measure phrases that start with pickups or upbeats. In order to perform musically you must identify the phrase and the musical goal. Musical goals often occur on the downbeat of the fourth measure of a four bar phrase, however, the composer might indicate another location for the goal with dynamics. Sometimes the four measure phrase is divided into two parts, each with its own musical goal. Generally the second goal of the four measure phrase is the most significant of the two. For instance, that is how I shape Weissenborn study #36. Notice that there are red arched lines with arrows at their right end and left end. Arrows at the right end indicate motion forward towards the musical goal. Arrows at the left end indicate relaxations away from the music goals. Let me conclude this reflection with a brief look at Weissenborn study #39. This will also prepare you for the next video! Weissenborn study #39 has a similar placement of goals to those in study #36. In addition, however, study #39 makes use of an important melodic device that often indicates a musical goal. This melodic device is called the appoggiatura. If you can study only one ornament in the Baroque or Classical period it should be the appoggiatura. The appoggiatura is so important that Quantz lists it first in his treatise on Baroque performance practice. Generally this is a very expressive dissonance placed in a rhythmically prominent position (such as the musical goal) that then resolves downward. In line 5 there is a four measure phrase with an appoggiatura at the climax. Line 5 with pickup. Let me play it for you. In the opening of the study Weissenborn presents two four measure phrases with ornamented versions of the appoggiatura. Don’t let the sixteenth note confuse you. These are still appoggiaturas, dissonant notes, presented on the downbeats. Here are measures 3-4 without the appoggiatura. It sounds OK, but it really is more expressive with the appoggiatura. I think now you can hear why so many composers favor the appoggiatura. It makes the music much more expressive! Here is how it sounds as written, with the 16th note. Now that we have established the phrase and the goal, I shape each note in the phrases so that they are joined together as one family. Notes before the goal lead to the climax. Notes after the goal, lead away from it; they relax. Performance with arrows and goals indicated. In the next reflection in Weissenborn study # 39, I will present how you make motion in music by means of rubato.